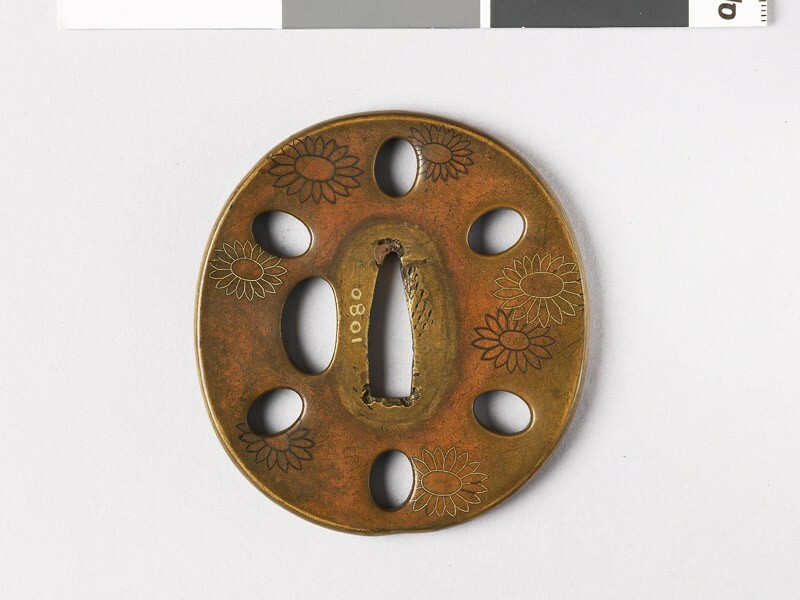 Slightly double-concave; radially pierced with six oval holes, their edges softly rounded off; each face inlaid with six (or seven) oval chrysanthemums in outline, in gold or shakudō wire. Signed: Ushū no [Chinese character] jū ("resident of Dewa province") Shōami Kiyonari [Japanese characters]. (His surname was Susuki [Japanese text]). The use of a Chinese character to express no before jū, as here, is a very unusual feature in signatures.